Joy: How about we read some mind manuals. Sounds fun. Sadness: I've read most of them. Joy: Well. Have you read this one. This seems interesting. Long term memory retrieval. Volume 47. Joy: Woo. A real page turner*. “Inside out” is an animation comedy movie released in 2015. 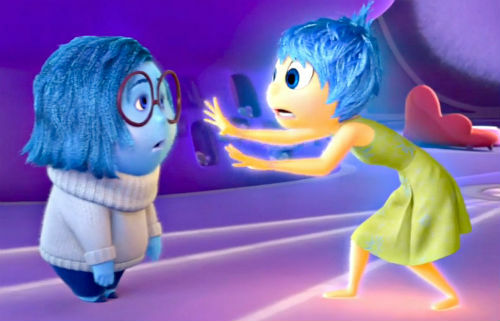 The film shows how the human mind works through the main character Riley and her five emotions; Joy, Sadness, Fear, Anger, and Disgust. The scientific facts about our mind melt into the cheerful story of Riley and her emotions well, and the growing up of the characters touches the viewers’ hearts.